This SignSupply is Rust Resistant! Metal Sign Supply Company Sells Wholesale Fixtures! Sign Making Supplies Online! 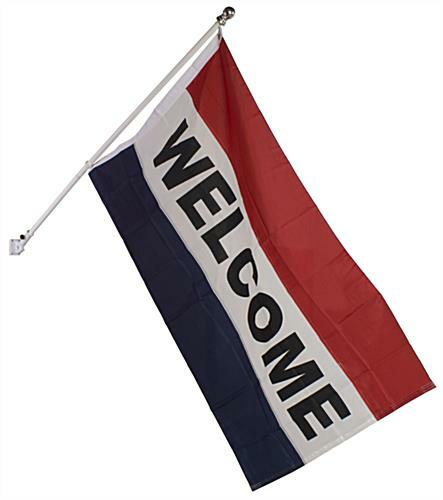 This sign supply, flagpole, is fitted with everything you need to display an outdoor flag! 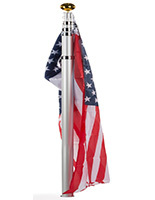 The flagpole, sign supply measures 5 feet long and comes with a wall-mount. 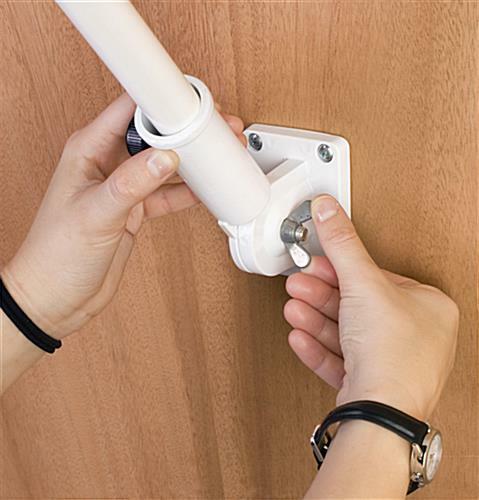 We also provide this sign supply with (4) screws for fastening the mount to the wall or other horizontal surface area. (Please note, some surface areas may need supplemental anchors or alternate hardware.) This sign supply, also recognized as a flag pole exhibit, features an adaptable holding device to suit numerous-sized flags, windsocks and banners. 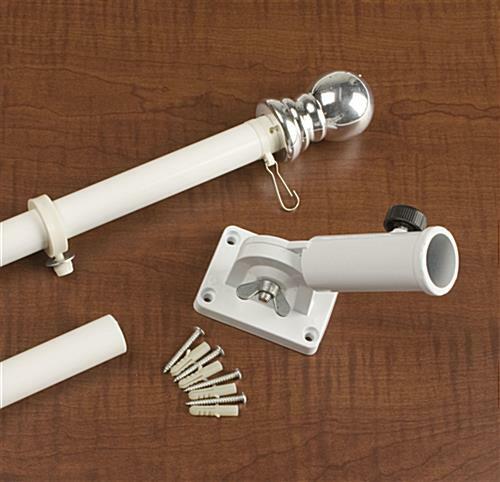 The flagpole mount can even change from 0° to 90° in seconds! 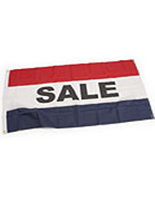 This inexpensive sign supply is the most versatile flagpole on the market! The sign supply is fabricated from metal and features a brushed silver finish to match any property and to more fully exhibit your flag. This outdoor pole, sign supply also comes with a height-adaptable affixing snap, giving you the power to exhibit varying-sized banners. In total, the sign supply has (2) affixing snaps, (1) sedentary and (1) adaptable, making it ideal for use with banners as well as our 3' x 5' communication flags. 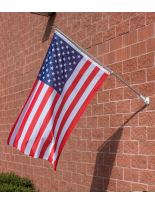 We also supply a 1/4" diameter washer to keep your flag safely affixed. 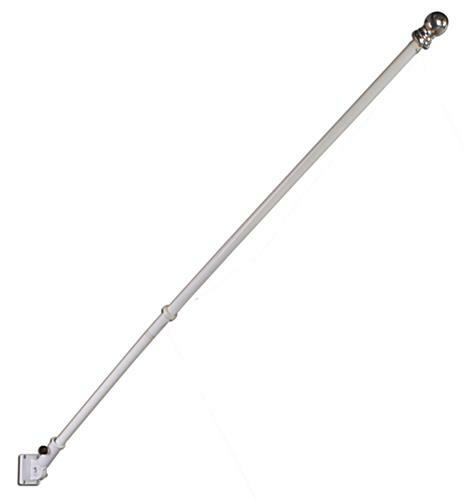 This sign supply, as well as a metal flagpole rack, is excellent for exhibiting state flags, tailor made flags or simple communication flags at any business. Best sign supplies online are here at SignSupplies2Go.com!